Custom load box used for testing Engine Control Modules (ECMs) for major automotive electronics supplier. 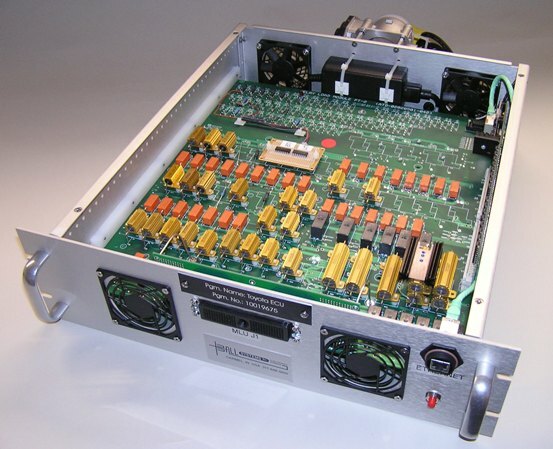 Rack-mountable in standard 19″ rack. Custom designed loads and Rabbit-based controller, including custom embedded firmware.